In previous article we have seen about 'Jenkins' and what all Jenkins can do with its advantages. 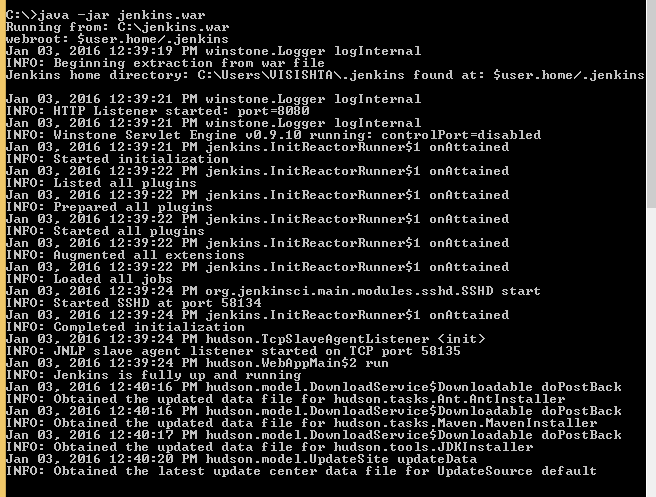 Installing Jenkins is very simple, you can just get started by a single command line. That's it. 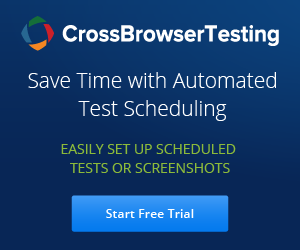 You can access it with URL 'localhost:8080' . Let us see how to do that in below 5 steps. Before proceeding to install Jenkins, Jenkins requires Java 7 or above to function and Java8 is recommended as system requirement to run Jenkins. Step 3: DONE. Now go to the command prompt and execute the below statement via command line. Step 4: After executing the above command, you should see something like below. You can also install Jenkins as a window service Visit jenkins page on how to Install Jenkins as a Window service it is very well documented. Once, it is installed, you shouldn't need to do anything else here because the windows installer will automatically runs Jenkins as a windows service. 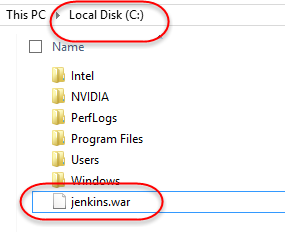 ‹ What is Jenkins and Use of it?